Whether you’re rooting for Messi or Ronaldo, Germany or Holland, the World Cup brings us all together to celebrate the shared love of the game. There’s beer, cheers, and tears, and then just like that, it’s over—leaving us all to wait another four years to relive the excitement. World Cup logos have evolved to try and capture this feeling in one single graphic. What was once a series of logos that featured soccer balls and players, the official World Cup emblems now take inspiration from the host city’s architecture and culture, not to mention the player and fan feelings that surround the finals. Below, check out seven of our favorite World Cup logos. Held in Russia for the first time in history, this year’s World Cup is truly out of this world (no, really). The logo was inspired by Russia’s artistic tradition, history of innovation, and above all, its pioneering in space. 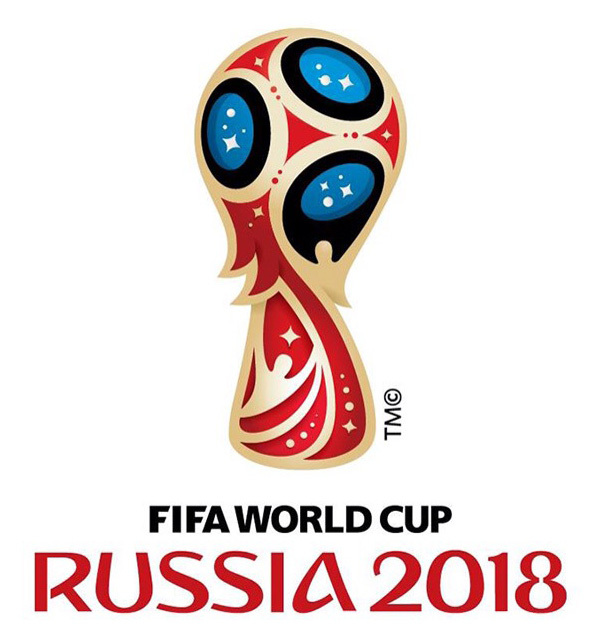 The shape of the logo takes the universally recognizable outline of the World Cup Trophy and incorporated bold shades of red, gold, black, and blue that are often seen in Russian art. The design also evokes a Fabergé egg, the Red Square’s Saint Basil’s Cathedral, and Sputnik. “Generally speaking, there is a sense of elevation, of ascending, like a spacecraft. This rising movement is reinforced by the human elements of the symbol, also inspired by the mankind’s ambition to reach for the stars, as well of the desire that every football player has of raising the World Cup Trophy,” said Miguel Viana, the chief creative officer of Brandia Central, who designed the emblem, in a Design Week interview. To top it off, FIFA even introduced the official emblem through a countdown from Russia’s International Space Station. 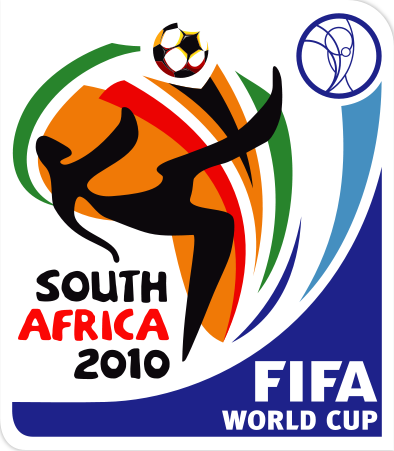 The 2010 logo used the colors of the South African flag to create the outline of Africa and included a soccer player doing a bicycle kick (a rather risky move). The goal of this logo was to show the world a new side of South Africa and the continent as a whole—“one of peace, progress, and excellence,” said Danny Jordaan, the president of the South African Football Association. “We want to be friendly hosts and celebrate a party with the entire world. 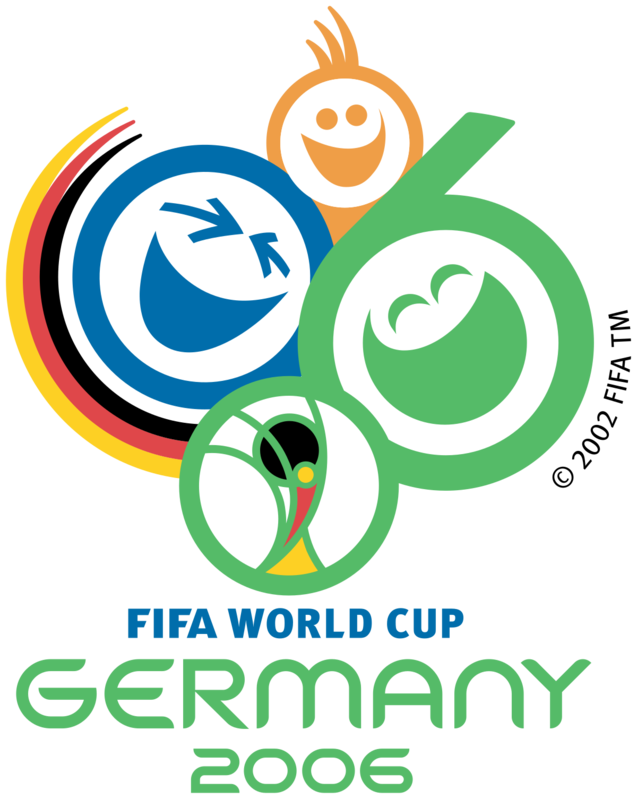 Our logo expressed the relaxed, cheerful character of the upcoming FIFA World Cup,” said Franz Beckenbauer, the Chairman of the Local Organising Committee of the 2006 FIFA World Cup Germany. The 2002 World Cup made history in multiple ways. Korea and Japan were the first countries in Asia to host the game and for the first time, the logo used the World Cup Trophy as the central stylized feature. “The logo builds on the artistic principles and traditions of Korea and Japan, such as asymmetry, dynamism and harmony, in order to live up to the high quality of design for which both countries are renowned,” said Interbrand’s Andy Milligan, who designed the logo. Related: American Express just changed their logo—can you tell? 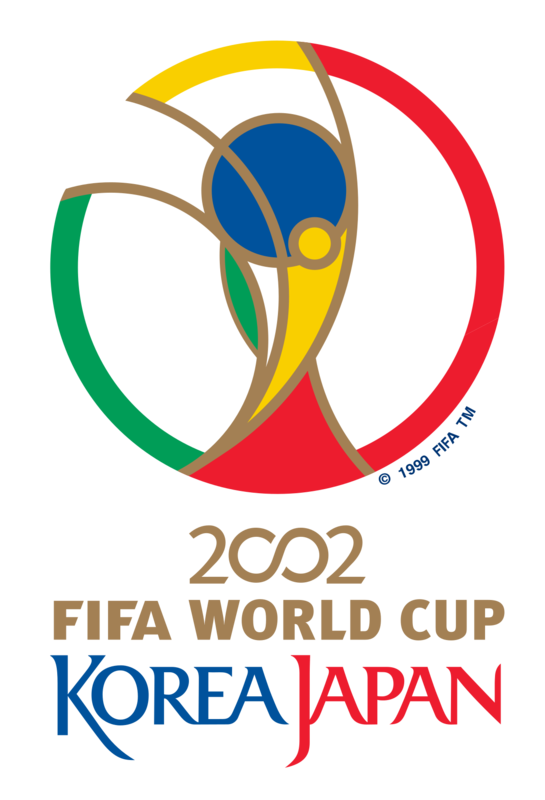 The two tournaments following the Korea/Japan games (Germany in 2006 and South Africa in 2010) included a miniature version of this 2002 logo into their designs. 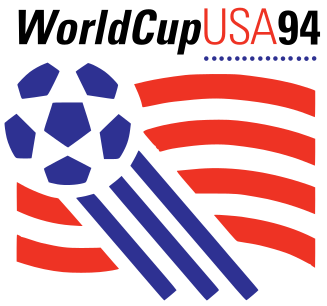 The 1994 World Cup logo was unveiled in Los Angeles and showed waving white and red stripes to mimic the American flag. The blue soccer ball was placed diagonally where the blue rectangle with fifty white stars is normally seen on the flag. From 1970-1998, the World Cup logo didn’t change much. The emblems were kept simple and only included the host country’s name, the host’s national colors, and a ball. During the first four World Cups, event organizers created posters instead of logos. 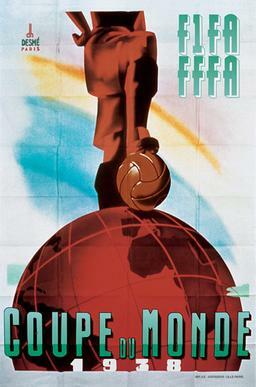 France’s poster for the 1938 finals adopted an art deco style, showing a confident soccer player with the world (and a soccer ball) at this feet. His stance seemed to symbolize victory, while the colors from the French flag were incorporated in the design (although in different shades). Uruguay had the honor of hosting the first World Cup tournament and creating its very first poster. This graphic shows a highly stylized goalie making a save, influenced by the avant-garde and surreal movements of the time. 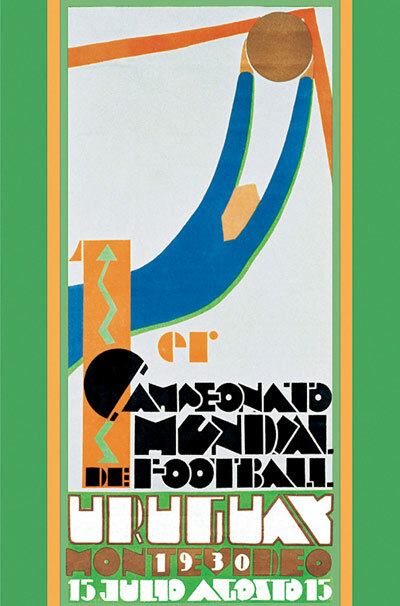 This is the only World Cup poster that was so abstract in design—the later posters were much more traditional. Do you have a favorite that isn’t included here? Share it with us on Twitter: @InVisionApp.